Found 9 file extension associations related to World of Tanks and 8 file formats developed specifically for use with World of Tanks. 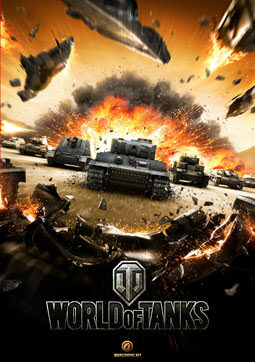 World of Tanks is a team-based massively multiplayer online action game dedicated to armoured warfare. Throw yourself into the epic tank battles of World War II with other steel cowboys from all over the world. Your arsenal includes more than 220 armoured vehicles from America, Germany, France and the Soviet Union, carefully detailed with historical accuracy. A flexible system of authentic vehicle upgrade and development allows you to try any of the vehicles and weapons in the game. Whether you prefer to exhaust your foes with fast and maneuverable light tanks, make deep breaches in enemy lines with all-purpose medium tanks, use the force of giant heavy tanks to eliminate opposing armoured forces, or become a heavy sniper with long-range howitzers, each unit type has its own advantages and can be extremely effective when operated by a true tank ace. But being a great tank commander alone isn't enough to win! In World of Tanks, it’s all about teamwork. Victory is achieved by combining your combat skills with those of the other members of your team, each playing their own role on the battlefield. Just add your favorite strategy to build your own iron empire and display the indisputable authority of the power of the tank! If you need more information please contact the developers of World of Tanks (Wargaming.net), or check out their product website.